Cher | The Perfumed Dandy. Black magic is the new black. If ever a perfume was created that conjured up images of extreme glamour coupled with supreme sorcery then Lancome’s iconic Magie Noire is it. 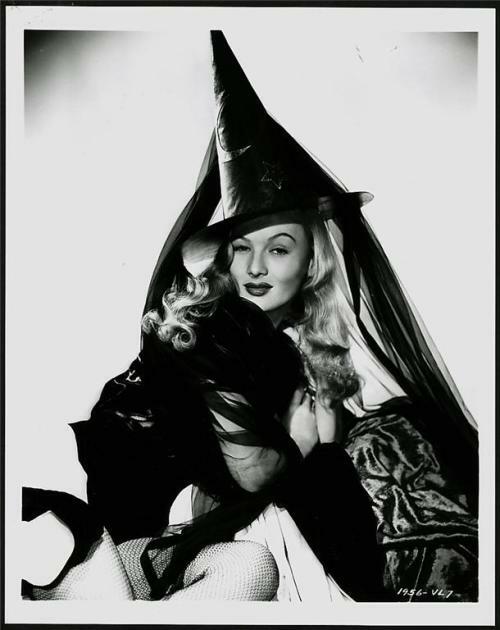 It is the Veronica Lake of the Wiccan olfactory world. Scarcely ever can evil have smelt so delicious and disturbing at once. Darkly mossy and animalic with a streak of sheer sang froid. This is bewitchment in a black leotard and high heel shoes. With more ingredients than a treasured spell and more discords than a coven in revolt it is the High Priestess of unholy scents. Glorious, gory, insouciant, stylish and incredibly bad, in the very, very best of ways. Magie Noire is the smell of a dark brooding power abroad in the kingdom. And as the witching hour approaches The Dandy will be donning a good spritz or deadly seven of the best vintage, warding off prankesterish children and welcoming in evil spirits. May the potion preserve you until morning is come. Thank you all for your wonderful suggestions of a suitably otherworldly aroma for tonight … I will be sure to track them all down, try them Spanish Inquisition style and return with my reports in time for next All Hallows Eve.